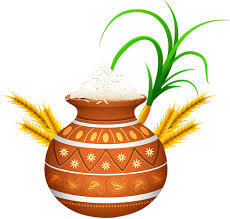 Lime rice, lemon rice or elumichai sadam is one of the simplest variety rices in T.N. It's undoubtedly one of the easiest to make and a very common lunch in the state. Since the meal is flavourful and tasty by itself, no accompaniments are needed and hence this serves a regular pack away meal for the school / office goers. Heat oil in a wide pan. Splutter mustard seeds( pic-1), followed by peanuts and bengal gram dal (2). Throw in the urad dal (3) and swtich off the fire. The heat in the pan will be enough to brown them. I prefer to add urad dal after frying the peanuts and bengal gram dal in this recipe unlike the regular seasoning which calls for urad dal just after the mustard seeds. If you add urad dal before the pea nuts, they might get over browned or charred by the time the nuts get roasted. When the urad dal gets the golden colour, switch on the flame to minimum and throw in the green chillies and red chilly (4). Saute and add the curry leaves (pic-5). Mix and add the turmeric powder (6). Add the salted lime juice (7) Mix the salt in it before hand or else you will end up burning the seasoning if you do it at this point. Combine the mixture (8). Add the cooked rice breaking lumps if any, gently while you combine the seasoning. Check salt at this point and add a tsp of sesame seed oil if it's too dry. you should see oil sticking to your finger tips when you touch the rice gently. While doing the taste test, remember to have the lime rice to be on a little tangy, salty and spicy on the next level coz the extra zing settles down while it seeps in into the cooked rice grains. So it will be rightly spiced and flavoured when you savour it after an hour or two. ->Yes, you need a bit extra oil for lime rice. Gingelly seed oil is preferred for this recipe for the authentic flavour and is also healthier. So no worries about the extra addition. ->Raw rice works good. I used left over Basmati :). You can also go ahead with any rice which is left over but see to it that the grains stay separate. Mushy /overly cooked rice spoils the taste! 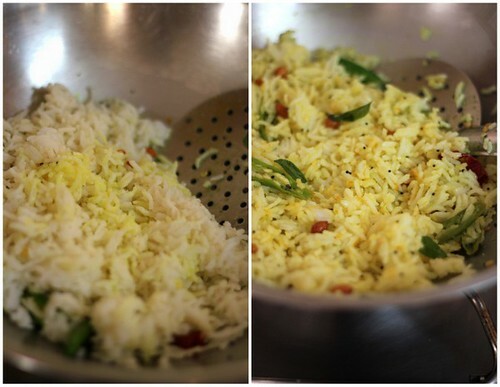 ->Tastes best if prepared before 1-2 hours thus giving some time for the seasoning to seep well into the rice. -> Fry the peanuts well so it retains the crunchiness. If you already have fried peanuts, you may mix in along adding directly while combining with the seasoning. -> A perfect pack-away lunch. Has a better shelf life than the other mixed rice varieties. Stays well for 12-16 hours in Indian standard temperatures if spiced up well enough. 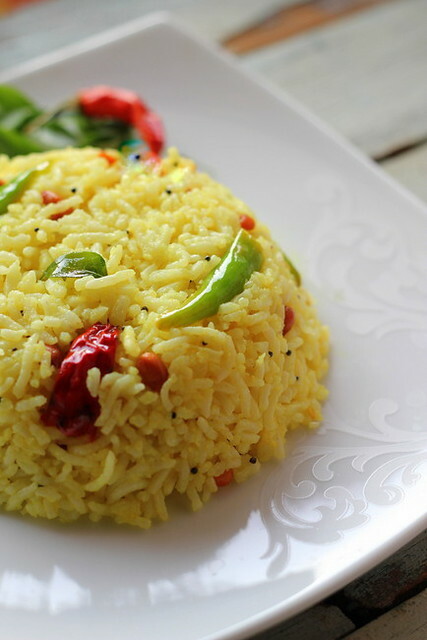 -> No accompaniments are required for lime rice. 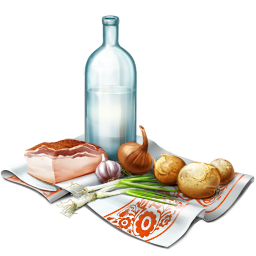 If you are particular, enjoy with salted potato chips and plain yogurt. 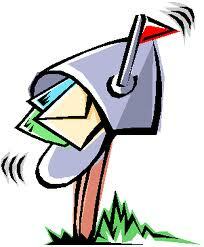 Sathish, this post is dedicated to you and your lovely family! Serve me this lemon rice with spicy potato fries, i can have it everyday. Beautiful presentation, I agree with Priya, lemon rice with potato curry, ultimate combination.. 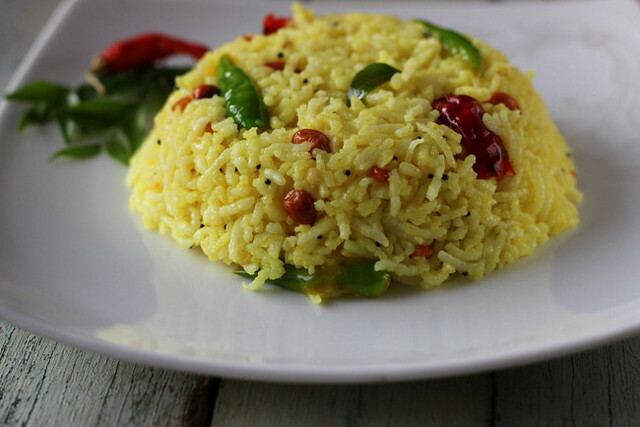 Lemon rice is my go-to recipe when I have leftover rice.Gets done in no time and tastes delicious too.Love the way you've explained all the tips,esp the urad dal one.The self design plate looks wow. I love this with a side of spicy roast potatoes and chips. Such a simple yet delicious recipe, Bharathy. Your friend is right.There is definitely something about this recipe.I am surely following this now on Thank you and to your gran-ma. 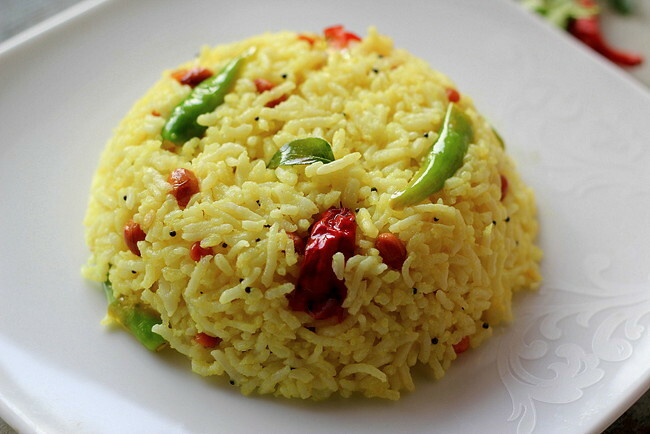 Lemon rice...the color says it all...spicy, tangy and the picture hits the right glands in the mouth. Fried potato is the right combo as Priya puts it. I love coconut chutney too. As you mentioned, this is one of those lunch box item which can be eaten with a spoon avoiding a mess on the fingers. Love it. Thank you Bharathy, for remembering my request and posting this delicious dish. Your photos are superb as usual,enough to stimulate the taste buds. 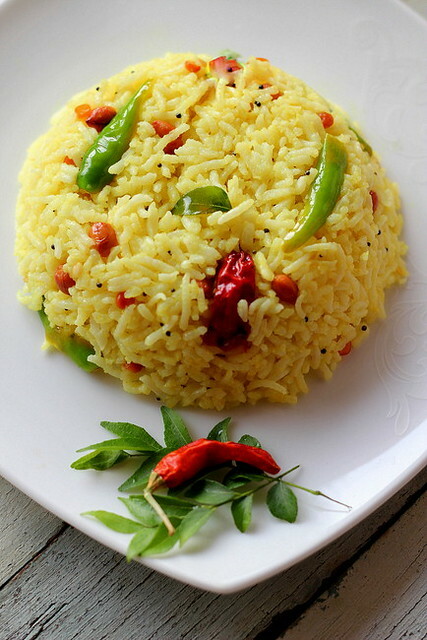 Bharathy - Have to admit, this is the best picture of lemon rice I have ever seen!! delicious!! Fantastic pic! made my mouth water instantly. For those with picky toddlers, like mine, I usually fry the dals alone with a 1/4 tsp fenugreek seeds (vendayam) in a tsp of oil, powder them in coffee grinder and add them to the rice. Goes down well with mine without crying "don't like those!". Also, you can add grated/minced ginger or 1/4 tsp of ginger juice to this rice when suffering from nasty cold/flu for soothing your throat at the same time giving yourself a little Vit C from lemon juice. This is my favorite comfort food during sick days! Thanks for sharing the pics and recipe. Just what I need atm with a poorly toddler. Happy winter everyone! Beautiful pictures bharathy and very nicely explained too.